Can You Give Shots Without A Needle? Science Says Yes! Ask a group of people why they hate going to the doctor and you’ll get a variety of answers—the bill, the waiting room, cold stethoscopes, etc. One of the biggest complaints you’ll hear is that many people hateneedles and hate getting shots. But thanks to a new breakthrough, we may soon be able to get some of our injections without a needle prick. Portal Instruments (a start-up medical company out of Cambridge, Massachusetts) recently unveiled their needle-free drug delivery system at South by Southwest in Austin, Texas… and impressed everyone enough to win the innovation award. The device—which they hope to initially use to treat chronic diseases like MS, rheumatoid arthritis, and hemophilia—delivers medication through a computerize piston mechanism. In plain English, the device uses an electronic motor to shoot a tiny stream of liquid beneath the patient’s skin. Having a liquid shot directly into your skin may sound more painful than a needle, but that’s where the genius of the device takes over. Much of the pain from a needle injection occurs because pressure is applied even after the skin is pierced. With the needle-less system, the computer automatically adjusts pressure immediately after the liquid (a 150-micron-thick jet of drugs, about the size of a human hair) breaks through the skin, removing the painful pressure of a shot. If you’d like a closer look at how the device works, check out a video breakdown by the BBC’s Dave Lee by clicking here. The device could be a huge breakthrough for people who suffer from trypanophobia (fear of needles). 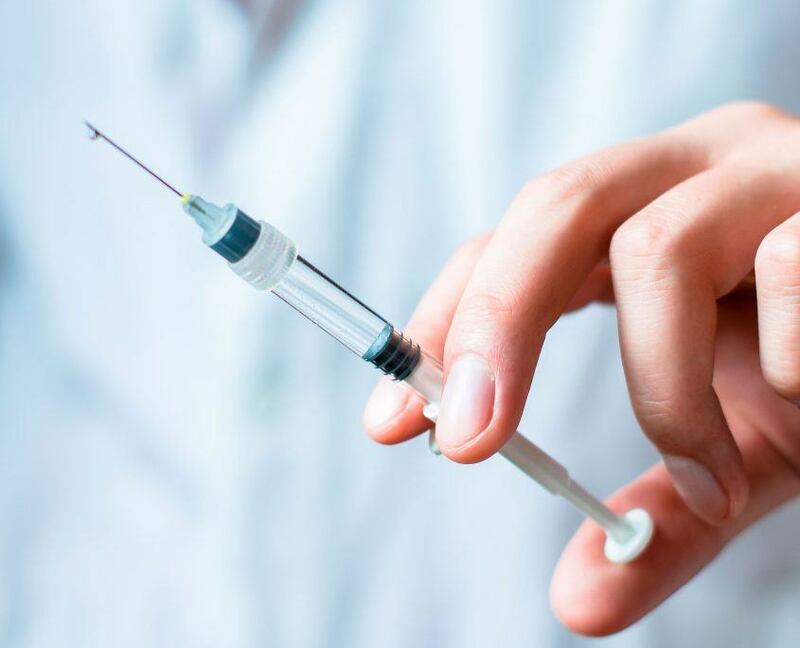 It’s estimated that ten percent of Americans suffer from the phobia, and of that group, twenty percent avoid medical treatment simply because their fear of needles is so great. Eliminating that fear could potentially open up a new world of medical treatment for these prospective patients, and that’s no small accomplishment. 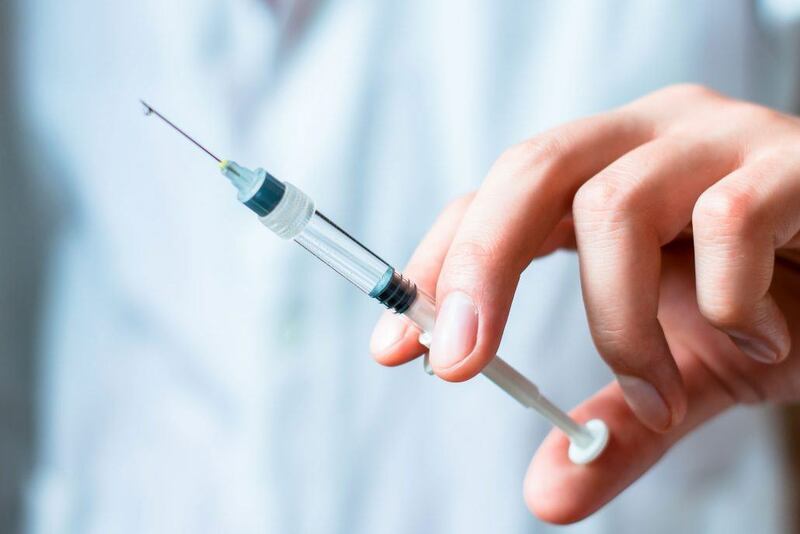 Of course, it may be a little while before the device begins showing up in clinics or hospitals, so in the meantime, click here for some thoughts on how to help your patients overcome their fear of injections. If you’d like to pursue your own career in nursing or medical assisting, contact Unitek College here for more information about upcoming classes, programs, and certification opportunities. https://www.unitekcollege.edu/wp-content/uploads/2017/07/shutterstock_319466393-1.jpg 800 1200 Unitek College https://www.unitekcollege.edu/wp-content/uploads/2017/07/unitek-college-logo-01.svg Unitek College2017-07-17 15:28:212017-08-14 21:54:34Can You Give Shots Without A Needle? Science Says Yes!